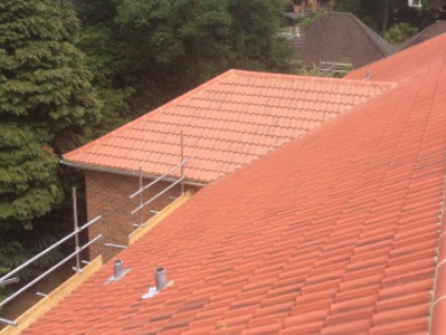 New roof installations and flat roofs in either felt, GRP or EPDM are our specialities. 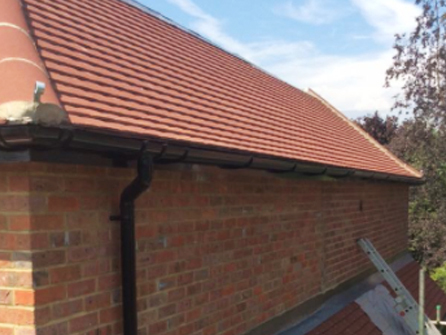 Along with all types of roofing repairs, guttering, fascias, soffits, bargeboards and downpipes, our roofing services are comprehensive and professional and all work is fully guaranteed. 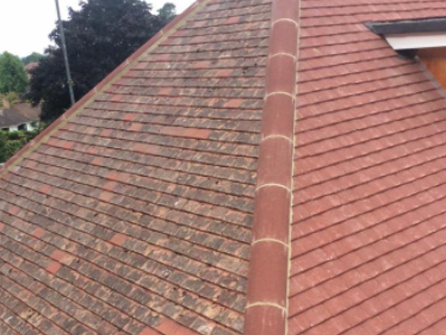 At Elmbridge Roofcare, our expert roofers will work to your exact standards to install new roofs that are strong and long lasting and that will compliment any style and shape of building. Our professional team are flexible and are happy to work directly with our clients or with their appointed designers. 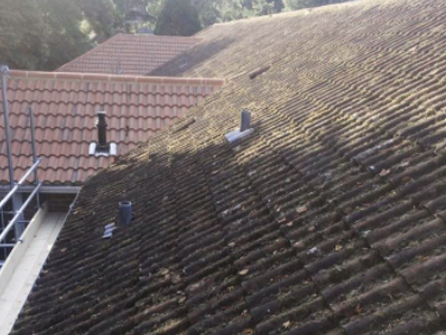 Whether you are a residential or commercial customer looking for a new pitched or flat roof, you can be assured that Elmbridge Roofcare is the company to call as most of our work comes from repeat business and through recommendations so we have a great reputation to live up to. 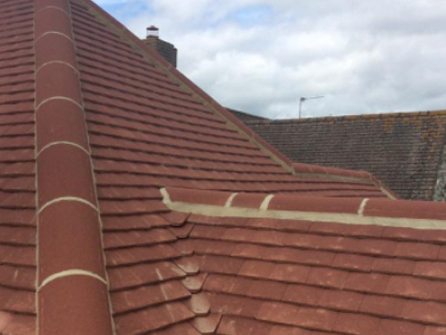 With caring and conscientious craftsmen, we offer to get the job done in an honest, fast and efficient way with minimal disruption to your day. Take a look at our excellent customer reviews on Checkatrade, Rated People and MyBuilder. 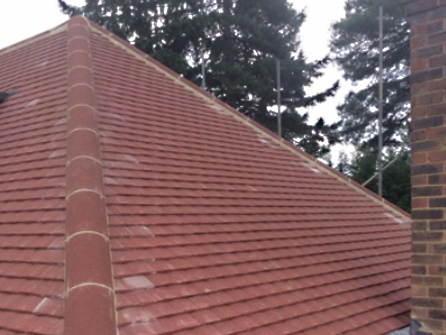 We are also proud to be approved by The Surrey Trading Standards, this gives our customers great peace of mind that they are choosing a reputable and professional roofing company in the local area. 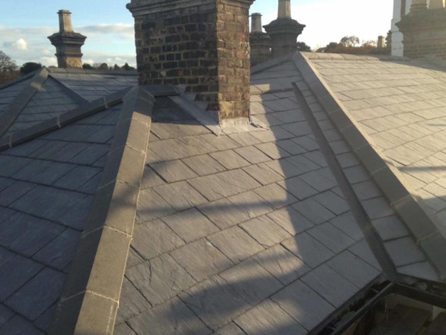 All of our work is fully guaranteed, we carry public liability insurance of £1m and are happy to organise a free site visit to discuss your roofing requirements. 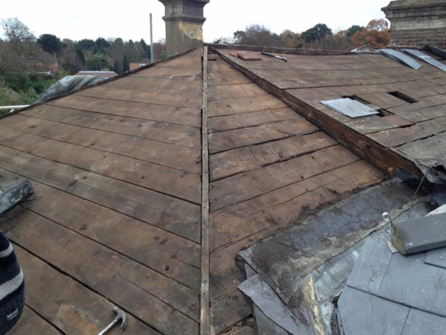 Call us today on either 01932 809479 or London 020 8945 7499 to speak to a member of our friendly team.